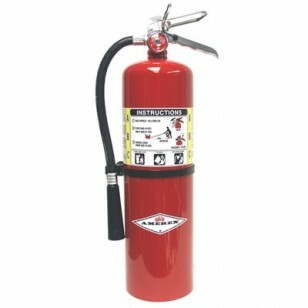 These Dry Chemical Fire Extinguishers are dependable and easy to use. 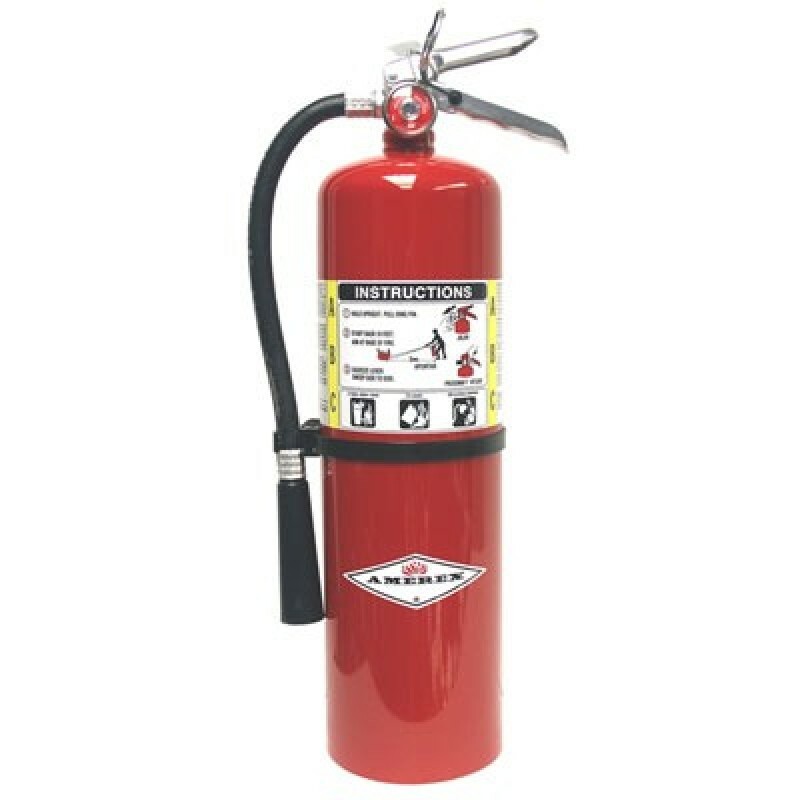 This 10 lb ABC fire extinguisher is constructed of a dependable steel cylinder with an all metal valve and a bar coded label. ABC Fire Extinguishers are extremely versatile. This extinguisher will tackle the majority of fire risks found in most commercial, industrial, and domestic environments. For the following types of fires: Class A - Ordinary Combustibles: wood, paper, rubber, fabrics and many plastics. Class B - Flammable liquids and gases: gasoline, oils, paint, lacquer and tar. Class C - Fires involving live electrical equipment. Temperature range -65°F to 120°F. Manufactured and Tested to ANSI/UL Standards.